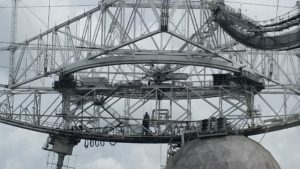 In June of 2016 I started my bucket list journey of visiting the world’s great telescopes. 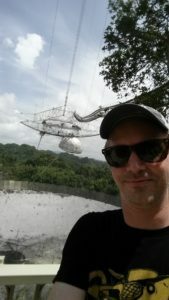 After a long tough year of teacher Geology and Astronomy I started my journey with a tropical vacation to Puerto Rico to visit the Arecibo National Radio Observatory. For travel details go to the very bottom of this page. 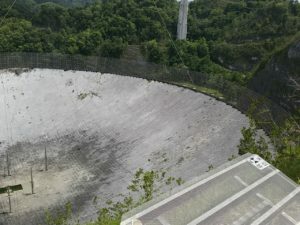 I knew that I wanted to visit this observatory ever since I saw the movie Contact. I had seen the observatory before in dozens of documentaries ever since the 80’s, but the movie just made it more exciting and quite romantic to journey so far away from Texas to see this machine dedicated to listening to the secrets of the universe! 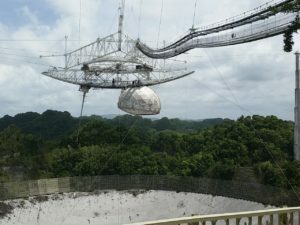 The amazing scenery of the Guajataca rain forest where the dish resides. Traveling there is easy. I flew on a great flight from JetBlue from Austin to Fort. Lauderdale then to San Juan. 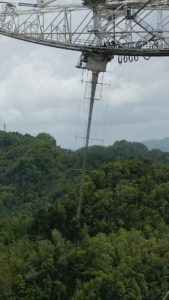 Airplane was recent, clean and the staff were awesome – the price was terrific too. Anything Sylvia runs is amazing, she’s a great decorator around that area and is always available via text or phone call. The room was waaaaay more space than I needed for one single person, it is plenty big for a small family. Incredibly clean, full kitchen (no microwave though), great shower and bed plus dining room! I rented a little economy car at the airport upon landing from Hertz. I had GPS on my tmobile phone the entire time so driving around was a breeze. 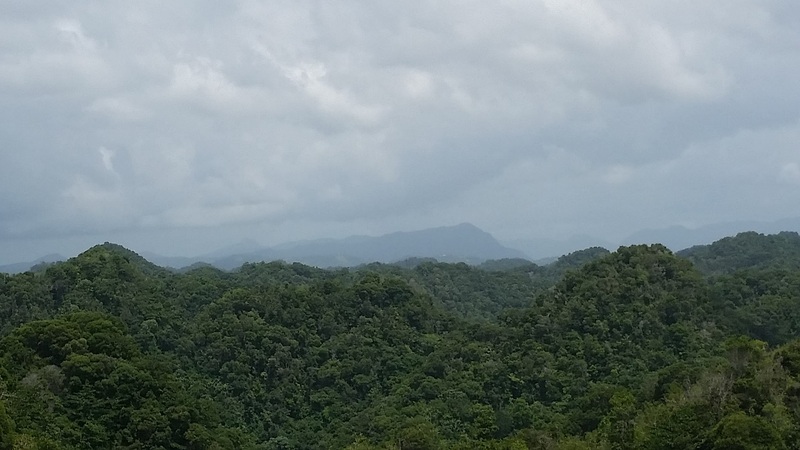 The highways in PR are quite good and look like American highways, but once you get into the rain forest you need to be very cautious since the road conditions are pretty bad. A jeep would’ve helped, and you can rent them, but just watch out for numerous potholes and whole sections of pavement that are missing due to constant rain. Watch out for animals too!! 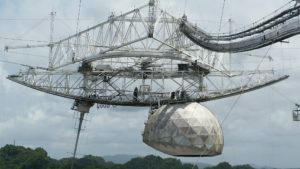 There are hundreds of blind curves up and down the road to get there, but it’s worth it, just go slow and take your time – the observatory ain’t closed yet!! 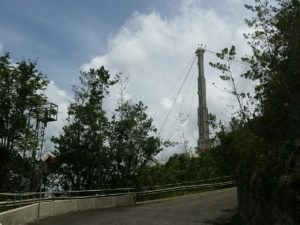 The Observatory is NOT near San Juan, you must drive about 90 minutes / 2 hours out. The scenery is amazing on the way there and there are a few cool suburbs you could check out as well. Be sure and get there early with enough time to drive and check the place out. I think it closes around 4pm, you don’t want to be driving down those roads at night.